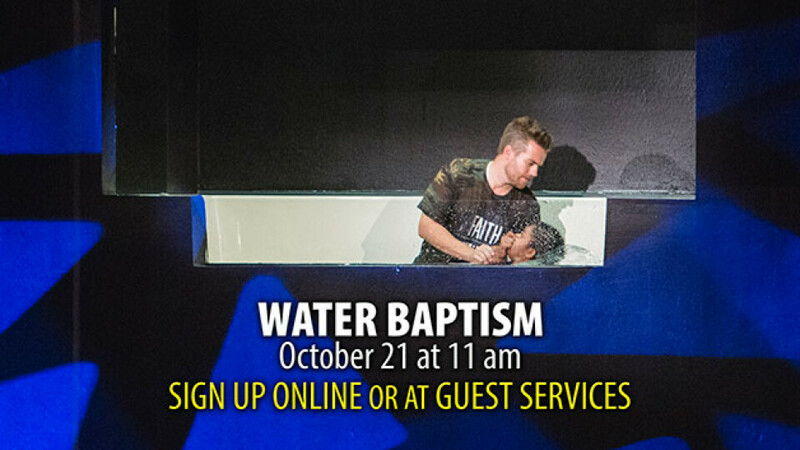 The next Water Baptism will be on Sunday, October 21 in the 11 am service. For Water Baptism, bring an appropriate pair of clothing for the baptism, a towel, and a change of clothes. The required age for water baptism is age 13. To be baptized, you must attend the required baptism class at 10 am in Room 162.